Size: 9.25 x 8.3 x 1.3in. If you are like me, you are carrying more and more electronic devices with you into the field. We rely upon these gadgets to make our lives easier, and stay in contact with friends and family. With this reliance upon technology comes a need to ensure these devices are properly charged, a difficult task when you are away from a power source. Having worked in the construction of, and currently working on a degree in, alternative energy technologies around the country, I have seen the price of solar panels continue to come down as the quality of devices increases. While not the answer to all of our energy needs, there have been some cool developments in the industry over the last few years. Included has been the explosion of what I would call 'personal' solar charging solutions, my current go-to for electrical power in the field. 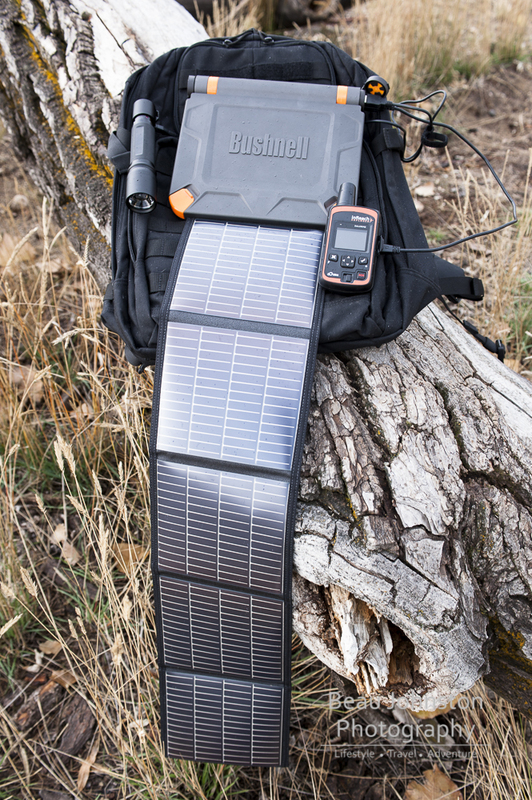 Bushnell offers a few options in the solar market, including their line of SolarBook Chargers. 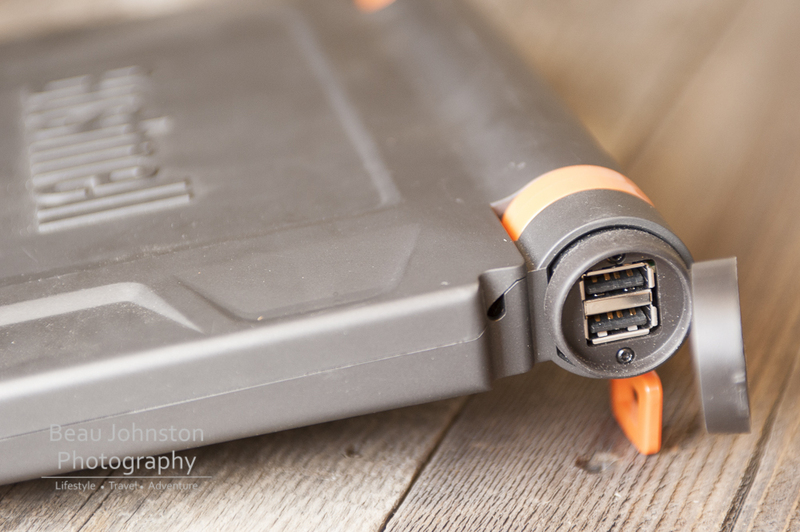 Part of their PowerSync line of personal solar chargers, the SolarBook line offers a very portable and rugged solution for charging electronics in the back-country. Bushnell teamed up with PowerFilm Solar, makers of the 60W panel Beau and Krista use to power their 60L fridge, to create a solar panel that is flexible and virtually indestructible. The solar panel can be folded up and housed within the SolarBook's hard plastic case, which also houses the unit's Lithium-Ion battery back. The twin USB outlets mean you can attach 2 pieces to be charged at the same time such as your phone and a camera. All in all the SolarBook is built with durability in mind. In my testing the solar book lived up to the manufacturers specs for charging my smart phone two times. Unfortunately, we found a few glitches with the SolarBook 600. Although I was able to charge my Samsung S3, I found Samsung Galaxy Note was not able to recognize the unit. Later testing, by Beau, discovered that the charger was not recognized by his or Krista's phones. 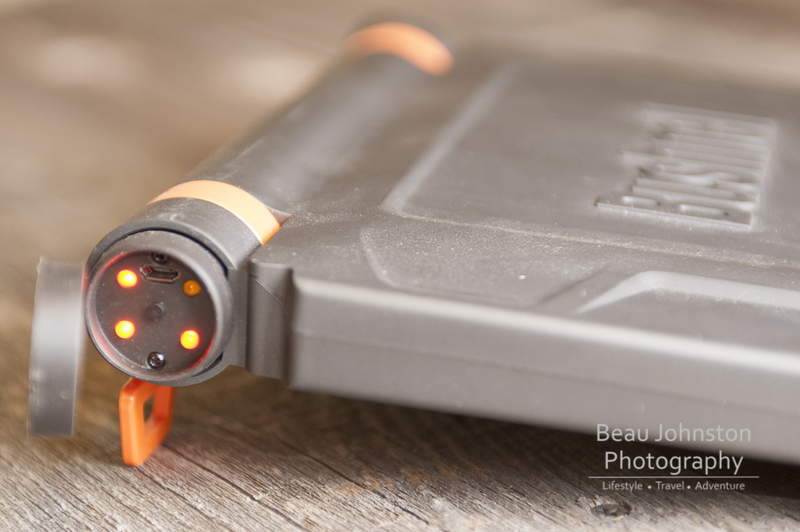 In fact, there were only two devices that Beau and Krista own that are able to be charged by the SolarBook 600, their DeLorme inReach and Coast HP7R rechargeable flashlight. While it was able to charge the one phone and two devices with out issue, the inability to charge the other devices leaves us scratching our heads. I also, and quite frequently, ran into issues with the device's batteries not charging. I would leave the SolarBook in the sun to charge, only to come back and find two flashing LED's, opposite each other, and no charge from sun. The device would charge fine via the supplied wall-charger, but not when left out in the Florida mid-day sun. 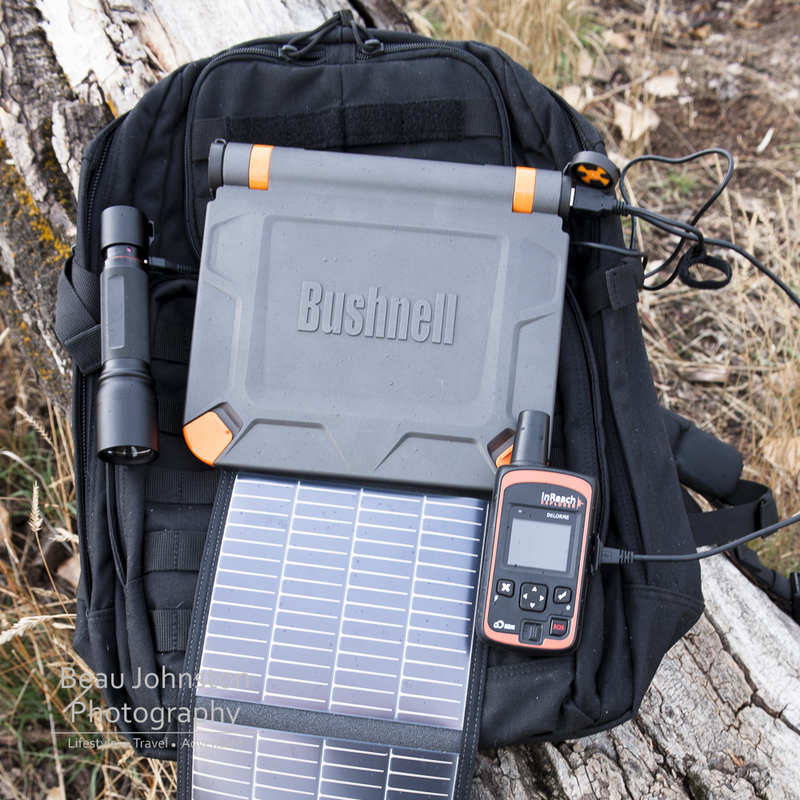 I contacted Bushnell and learned the solar charger is designed to stop charging when it exceeds an internal temperature of 104 degrees F. I was told the cutoff was a safety procedure to keep the battery from catching fire, a recurring issue with lithium-ion batteries. With optimal solar charging times generally between 10am and 1pm, most places will reach 80 degrees by that time and give an internal temp well above the 104 cut off. The SolarBook 600 is a great idea with a not so great outcome. The problems expressed above really limit the ability of this product to be useful to those who spend time in the outdoors. It is my personal opinion that solar power is currently the best option for our charging needs. The cost per watt is coming down every year and, although much of the outdoor industry has ignored this trend, it is not hard to find such power at reasonable prices per watt. The issue really lies with the battery technology. Continued to be plagued by overheating issues, the lithium-ion batteries are the weak-point in this design. In our conversations with Bushnell, about this overheating issue, we suggested they separate the battery from the unit, so that one could place the panel in the sun and the battery in the shade. We also suggested they change the SolarBook's plastic case to a lighter color, to reflect as much of the heat energy as possible to keep the batteries cool. Disclosure of Material Connection: I was loaned the equipment used in this review from Bushnell in consideration for review publication.